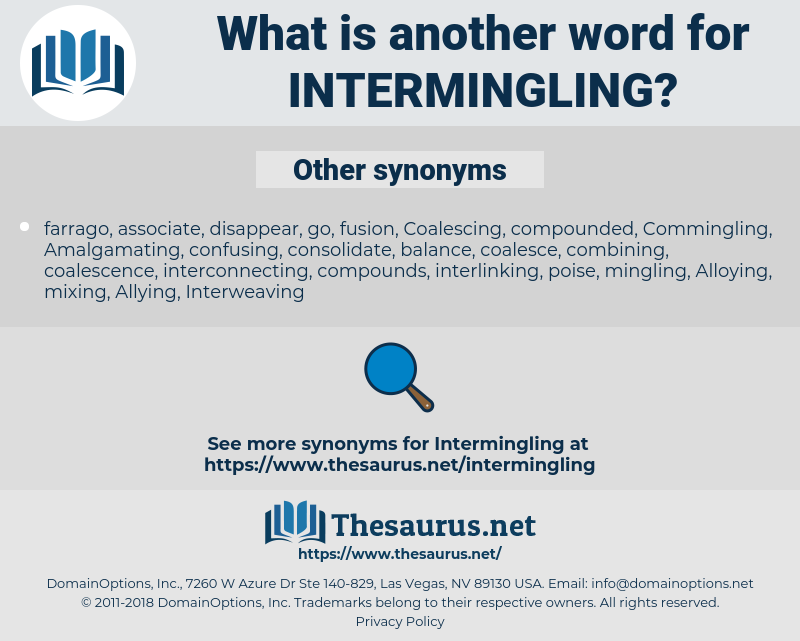 What is another word for intermingling? intermixing, mixing, mixture, blending, blend. 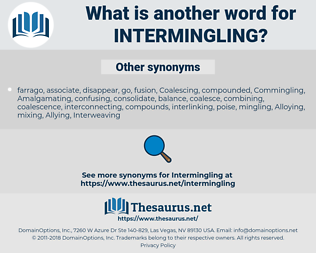 mix, interconnectedness, brewing, cross-fertilization, tangle, confusion, combination, admixture, mix-up, melange, shuffle, hybrid. Each shaft of the petrified forest rose to a preternatural height, their many branches intermingling in the space above, to form an impenetrable canopy. Presently we began to hear in the East of the Chisholm Trail and of the Western Trail which lay beyond it, and of many smaller and intermingling branches.